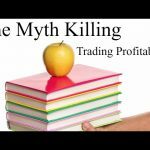 As you probably already know, there is a big payoff for learning how to trade. The highest paid people in the world are not top athletes, not celebrities, or small business owners. They generally do not make unthinkable amounts of money developing a social media presence, by becoming a doctor or lawyer or in real estate. No, they make there wealth and grow their wealth by becoming a great investor and/or trader. You can do a quick search of the top paid bosses and see that top executive and celebrity pay is generally measured in the hundreds of millions. However, top pay for fund managers and elite traders is often measured in billions per year. And many top managers started out by learning to become great traders. So if I tapped you on your shoulder and told you that you could learn the most valuable skill in the world for free, I think you would be interested. So put down the phone and remove other distractions, I am about to completely share with you the first step on the road to create real wealth by learning how to trade using paper money in this tutorial. This is the next part of our swing trading course and is one of the most valuable lessons. Now being great at anything takes a lot of diligence and practice. And you can start practicing for free right now by trading the top-performing asset class long-term. Stocks. Its where the wealthiest traders and investors generally make their money. Now I know that trading on a simulator is not the same as trading real money. But if you have not developed strategies and skill to be able to make money on a simulator, than trading in a live account with real money will likely not go well. So save yourself money and learn great strategies on a simulator first. Simulators have improved tremendously over the past several years and its now a great place to begin to learn. If you are learning our strategies, or any new strategy, its highly recommended whether you are a beginner or more advanced trader. In a prior video I talk about the importance of managing risk and this method of controlling risk is one you do not want to overlook. Especially if you are learning day trading – buying and selling the same day. Or a beginner starting with a new strategy. Today’s simulators will give you an accurate portrayal of live trading and even reflect commissions and some of the slippage in your results. Today I want to show you how to get started within the next half hour. Now the Investopedia simulator is fine for investors but its not where I would go to learn to trade. There are actually some excellent short-term strategies rarely taught online including our earnings eruptions strategy. For this and other proven methods, you want a good trading platform that you can learn and then use when you transition to a live account. Many consider the best swing trading platform to be Thinkorswim. And now with their commissions dropping, its hard to argue with that. Thinkorswim has a lot of great features including the ability to begin within an hour for free. All you have to do is download the software and create an account. What is amazing is that you do not even have to fund the account to get started on their great simulator. And the simulator (they call it Paper Money) closely mirrors their live trading platform. With the Thinkorswim simulator you can just choose the “paper money” option when you login and then just use the platform like you would in a live account. The platform gives you $100,000 of paper money and virtual margin as well. The data is delayed 15 minutes but that shouldn’t be a concern if you are learning a strategy on a simulator. Just do not look at another information source to “cheat” and it won’t matter. However, you can go into the client services tab, your profile and subscribe to level 2 data to get real-time data when using the simulator. Thinkorswim has good charting and a good scanner that automatically messages you when a new stock meets your scanning requirements. With OnDemand, you can go back in time and trade a day in the past as if it were that day. This is a lot of value they give you for free without even funding an account. So if you wanted to learn the earnings eruptions strategy or the explosive bottoming strategy, you can go back to the day when those stocks were near an entry point and practice your trading skills with that strategy without risking real money until you master it. Just imagine trading the first hour or so of multiple trading days in the past on a Saturday afternoon. Developing and honing your skills when its convenient for you. The account and general ledger gets updated so you can tell how well you are doing. The technical indicators, moving averages, etc… that traders generally put on their charts are called ‘studies’ in thinkorswim. But they are easy to use. Sometimes there is a slight delay between the quoted price and the price displayed on another platform on the simulator even without the 15 minute delay. This could be just due to the fact that its a simulator and computing resources would likely favor live accounts. But with most strategies, including the ones we teach, I doubt if this would have much of an impact at all and it was only a very slight delay. The other small gripe I have is that I could not find a VWAP (volume weighted average price) on a 1 minute or 5 minute time-frame during the day. However, their support let me know that they would customize a ‘thinkscript’ to actually create this moving average that I like to have on my five minute charts. The VWAP was available on longer-term charts however and all exponential moving averages that I use were easily available. The customer service is very good even if you just have a paper trading account. Its a very widely used trading platform so there is plenty of information available online to learn the ins and outs. Its also one of the best option trading platforms as well with tons of features. So you can get started practice trading a promising strategy while easily keeping track of your results with no risk. And no cost to you while you learn on this great simulator. Here’s exactly how to do it. They often run special deals to move an account over as well that are very attractive. I recently moved over another of my own to TDAmeritrade and Thinkorswim. 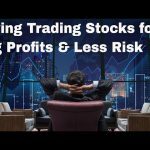 After watching, you can take advantage of our current promotion to get access to our latest long-term swing trading setups that are poised to soar. Extremely well written article! I’m going to definitely use some of the tips myself, you’re awesome. Thank you! We do offer training but the services and site are targeted to US residents only.